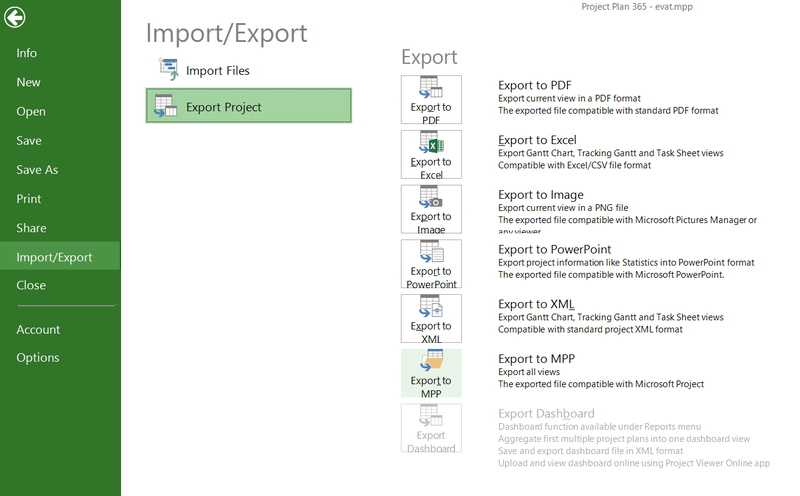 Export to MPP option can be accessed via menu File>Import/Export>Export Project>Export to MPP. Exports all views and information in an MPP file. Additionally, Project Plan 365 for Win Web/Server allows you to export the current file in MPP format and save it on different storage options please see Save as for more information. The file exported can be opened in and printed in any compatibility application, like Microsoft Project, Project Viewer 365 or Project Plan 365.